Celebrate Women's Day in a way never thought before. Take out time for yourself, appreciate your natural talents and gift yourself a unique experience. Remember ladies, every other love starts with self-love. Paint with us a beautiful Cinderella who is none other than you and take home your beautiful painting masterpiece. All art materials including canvas, colours, brushes, etc will be provided. Also, you will get food and beverage coupon worth Rs. 300/-. What's not to love? No prior experience in drawing/painting is needed. Whether you’re new to paint or a beginner or an artist, you are welcome to participate in the workshop. About the artist: Damini Sargam is a professional artist based in Mumbai, working for clients based in India, Germany and Switzerland. She specializes in making oil paintings, portraits, human figures, landscapes, theme based and abstract paintings. 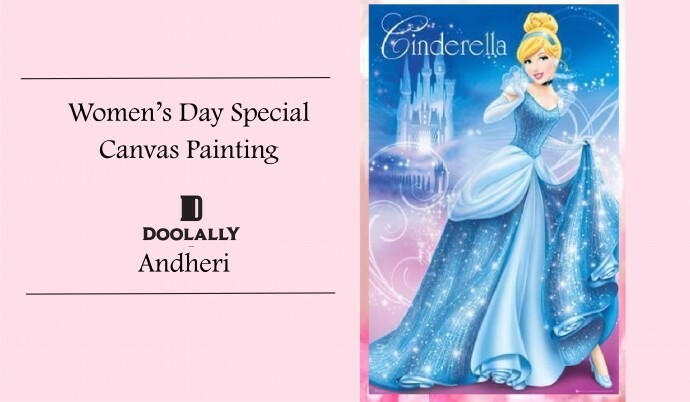 Share "Women's Day Special "Cinderella" Canvas Painting"